Upon its completion, "The Botanical Bench" will be a unique visual and kinesthetic experience for viewers of all ages. Each letter on the chair will be decorated with the texture of a botanical element beginning with that particular letter. 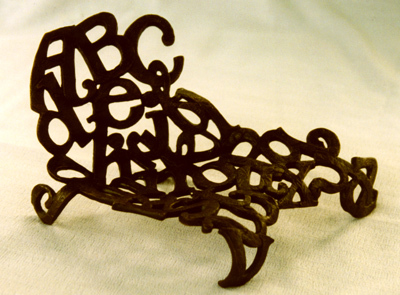 The bench will puzzle the viewer to identify each letter's mystery.